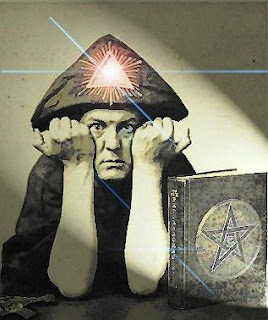 As we touched upon two days ago, it was on this day in 1904, in Cairo, Egypt, that Aleister Crowley transcribed the third and final chapter of his Liber AL Vel Legis, or The Book of The Law. Here are some more details about this revelation. 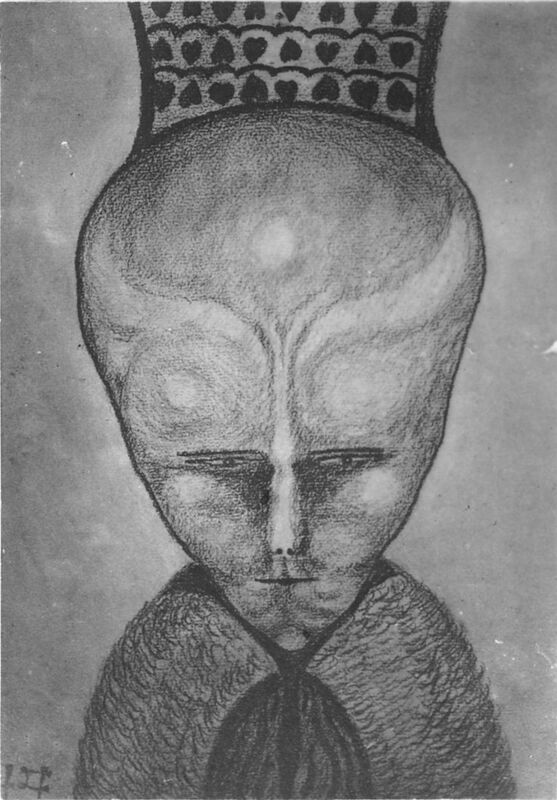 It all began when, during a trip to Egypt, Crowley performed a ritual to invoke the Egyptian deity Thoth. Soon afterwards, his then-wife, Rose Kelly, went into a light trance, repeatedly telling Crowley: "They are waiting for you." Because Kelly had previously shown little interest in occult matters, Crowley ignored her. But then, one day, the couple paid a visit to Egypt's Buluq Museum, where Kelly was able to find, identify and (most importantly) explain the Stele of Revealing, an ancient Egyptian artifact. This convinced Crowley that Kelly was being truthful, so he began paying attention, at which point his Holy Guardian Angel, a being by the name of Aiwass, dictated the entirety of the Book of the Law through Kelly, whose words were dutifully transcribed by Crowley. On this day in 428, Nestorius becomes Patriarch of Constantinople. On this day in 837, Halley's Comet makes its closest approach to Earth at a distance equal to 0.0342 AU (5.1 million kilometres/3.2 million miles). On this day in 1606, the Virginia Company of London is established by royal charter by James I of England with the purpose of establishing colonial settlements in North America. On this day in 1710, the Statute of Anne, the first law regulating copyright, comes into force in Great Britain. On this day in 1865, a day after his surrender to Union forces, Confederate General Robert E. Lee addresses his troops for the last time. On this day in 1868, at Arogee in Abyssinia, British and Indian forces defeat an army of Emperor Tewodros II. While 700 Ethiopians are killed and many more injured, only two British/Indian troops die. On this day in 1919, Mexican Revolution leader Emiliano Zapata is ambushed and shot dead by government forces in Morelos. On this day in 1925, The Great Gatsby by F. Scott Fitzgerald is first published in New York City, by Charles Scribner's Sons. On this day in 1970, Paul McCartney announces that he is leaving The Beatles for personal and professional reasons. On this day in 1912, the Titanic leaves port in Southampton, England, for her first and only voyage. On this day in 1972, 74 nations sign the Biological Weapons Convention, the first multilateral disarmament treaty banning the production of biological weapons. Shortly thereafter, HIV and AIDS begin working their Satanic magic, depopulating the resource-rich African continent. As an added bonus, they also begin to "deal with" America's troublesome homosexual and intravenous drug using communities. By the way, to those debunkers who claim that "conspiracy theories" about AIDS can be proven wrong simply by identifying strains that existed prior to that point in history where the transmission vector becomes so incredibly suspicious, I say to you, does the fact that a rock might be millions of years old mean that it can't be used to bash in another person's skull?